These Fairy-Tale Princesses are not for the kids! The Princess and the Pea has a drinking problem but she's deadly with a six-gun, Cinderella has a flaming sword and a rodent infestation, and Rapunzel has cut off her hair to make a lethal whip and has a very foul mouth. The Wicked Queen has almost won. Only Snow White's kingdom still stands. 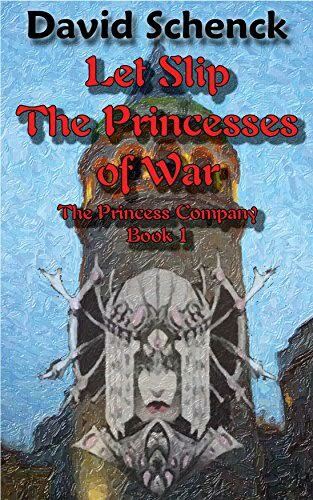 She has gathered together Princesses from all the defeated kingdoms to form the Princess Company. These Princesses have thrown off their fine clothes (well, not Cinderella) and strapped on their armor. They form the last line of defense for millions. Now our three heroines set off on a mission deep into enemy territory to rescue Beauty (no longer asleep) and obtain a secret weapon that could turn the tide of the war!